Securing a 997/996/Boxster or Cayman to a trailer is next to impossible without the use of wheel straps that are just about guaranteed to destroy your wheels in time. 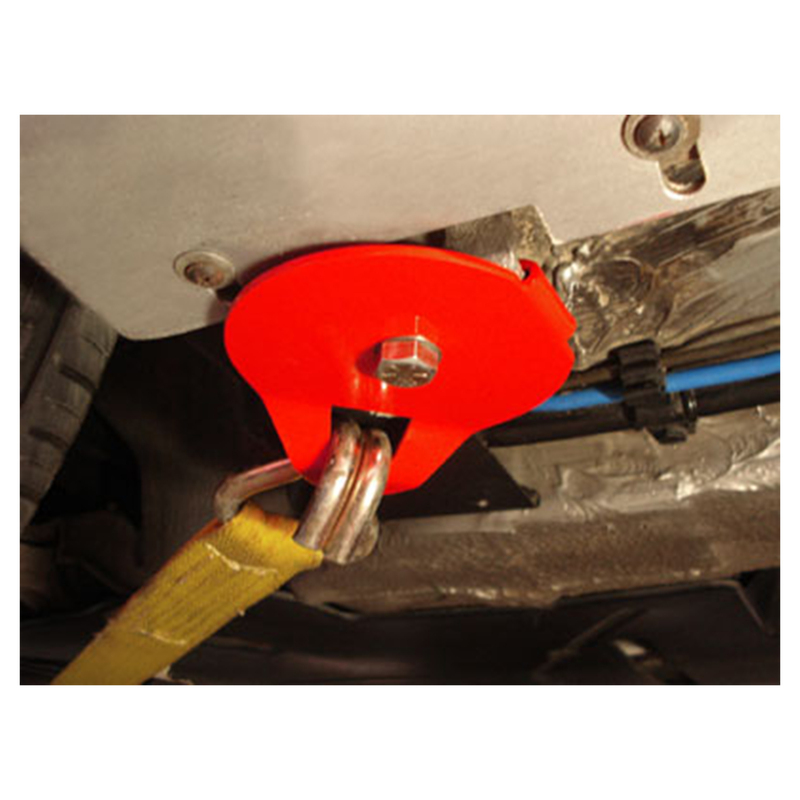 Save those expensive wheels with a set of inexpensive tie down hooks from Rennline. These hooks have been specifically engineered to bolt to the front of your car without any modification or removal of any factory torqued bolts. Another great feature of these hooks are that Rennline has incorporated a much needed jack pad that will allow you to easily lift the front of your car without the worry of damaging your rocker panel or plastic under trays. 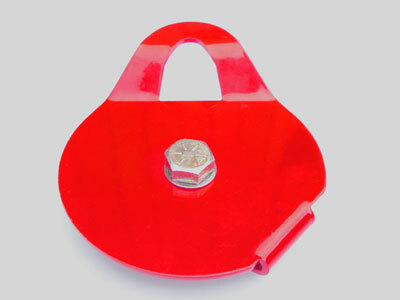 Hooks are constructed of steel and powder coated red. Each kit comes with (2) front hooks and all hardware needed for a 5 minute installation.